Breast Cancer Awareness Glitter Graphics - Pink Ribbons October is Breast Cancer Awareness Month. Mark the occasion with one of our Breast Cancer Awareness Comments. 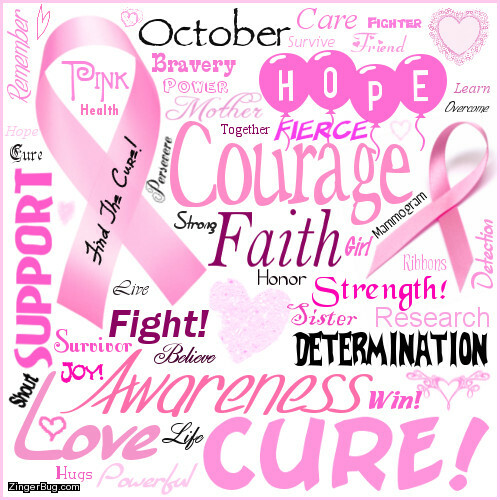 These comments and graphics feature pink ribbons and other Breast Cancer Awareness images. Support the Cause! Together we'll find a cure!